After ten months of renovation work, Cuiyuan Park has reopened to the public in Pingtan, Fujian province. 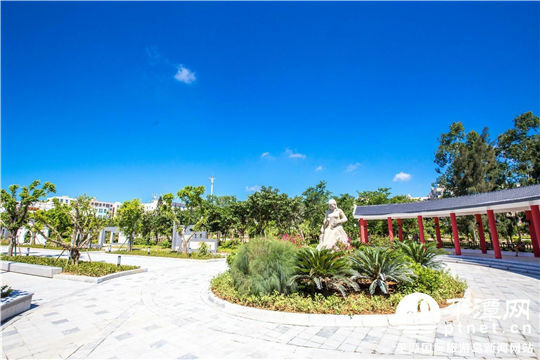 The park has become one of the main landmarks in Pingtan since it was first built in 1999, due to its famous statue of a haishansao, or local fisherwoman. The Haishansao Statue remains where it was, though the rest of the park has been given a facelift. Pingtan, an island city, was previously called "Haishan", according to the city's annals. Usually wearing a big colored kerchief to shield them from the sun and sea winds, haishansao are a symbol of industriousness and perseverance in the city. 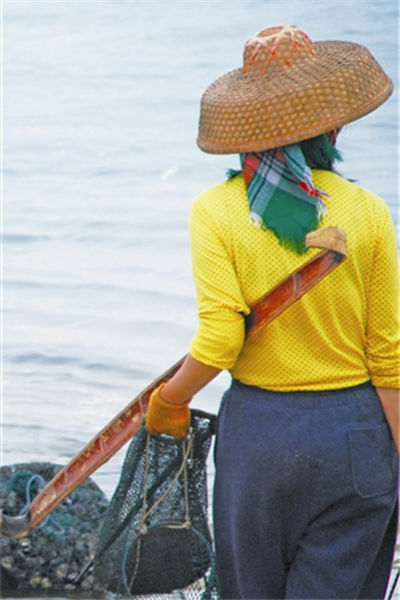 In Pingtan, an adept fisherwoman is sometimes able to support her whole family. During the harvest season, haishansao would carry shoulder poles and fishing nets, and join in the harvest alongside the men. Years of exposure to the sun and coastal winds plus the laborious work often left indelible marks on their faces and hands.